Corner-2-Corner Home Inspections. Louisiana. Morgan City, Patterson, Berwick, Franklin, Houma, Thibodaux, | Home Inspections, Roof Inspections, Energy Audits, Foundation Inspection, Pre-Listing Inspections. Full Home Inspections, Roof Inspections, Energy Audits, Foundation Inspection, Pre-Listing, Inspections & Mold Inspection. Offering the best in Residential & Real Estate Inspections in Morgan City, Patterson, New Iberia, Lafayette, Louisiana and surrounding areas! 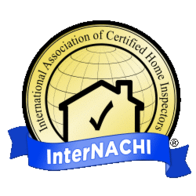 Looking for a home inspection company you can trust? Look no further! 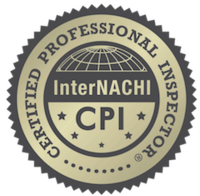 We’re committed to quality inspections for your home purchasing experiences and serving you with value. Our Home Inspection coverage area is from Morgan City to New Orleans, Houma to Lafayette, surrounding towns/cities including Thibodaux, Broussard, Abbeville, New Iberia, Franklin LaPlace, Slidell, Grand Isle, Berwick and my home town of Patterson. Meet or call our friendly, experienced staff for your home inspection needs, we work on weekends. We use the latest technology to provide high-quality inspection service in purchasing a home. THE AVERAGE INSPECTION TAKES 3-4 HOURS. A Corner-2-Corner home inspection protects all parties and is a smart investment when you are purchasing a home. We love inspecting homes and we inspect as if they are our own​. Corner-2-Corner began its operations in June of 2015 to provide a quality product, confidence and trust in home inspections. Our exceptionally skilled employee possess 40 years of combined experience with various backgrounds and skill sets. Rely on our knowledge, experience and our three common goals which have become the basis of our operations. Treat our customers with respect, like they are family and always work safely!! Quality service and consistent availability is imperative to the success of our clients. We promise to always provide value and outstanding service, regardless of size of inspection. Corner-2-Corner Inspectors are provided with some of the most technologically advanced inspection equipment in the home inspection industry. From electronic/digital level surveying equipment to laptop computers, thermal camera and everything in between, we outfit our Home Inspectors for success! If you have any questions please feel free to contact me at 985-518-9483. I look forward to hearing from you soon!